“Throw another shrimp on the Barbie”…. 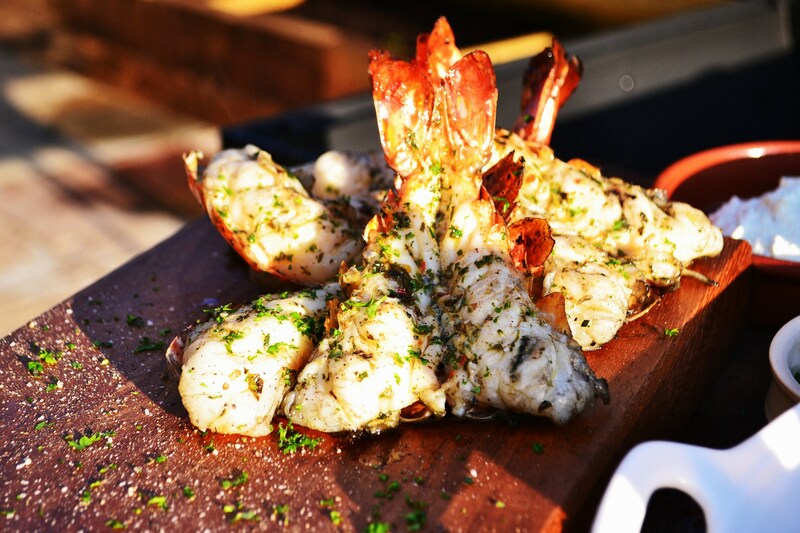 Big on flavour, big on looks, big on the grill…for me Gambas are the emperor of the grill. Yes, Jack Daniels chicken is great and Ribs rock but for me this is the big daddy. Again, the only place you are going to get these is a quality fish monger and 4 big ones will run you about 10 quid but your easily gonna serve 4 people as a starter or 2 for a main deal. Step1: Dead easy, no mystery here – you are gonna marinade and grill the gambas and you will be default turn into a grill God. Step2: Combine the Chilli, Oil, Garlic, Herbs, Pepper, Lime and Salt & Pepper in a deep dish. Next butterfly the gambas (your fish monger can do this) run a hugely sharp knife straight through the belly shell and the meat until you hit the back shell then simple open the gambas out. Step3: Sling the big boys into the marinade, cling and sling in the fridge for about 20-30 minutes before you are ready to knock out on your Grill. Step4: These gambas are big so they will take a good 3-4 minutes on each side – as always, cut in and check – you want them nice and firm and a vibrant white all the way through. Serve with a sprizty Tzatiki and good Sourdough bread!